The BVLGARI Resort Dubai brings a new dining experience to the property with the opening of its latest culinary hotspot Hōseki, meaning “gemstone” in Japanese. Uniqueness and ultra-exclusive surroundings are at the heart of the one-of-a-kind culinary journey. 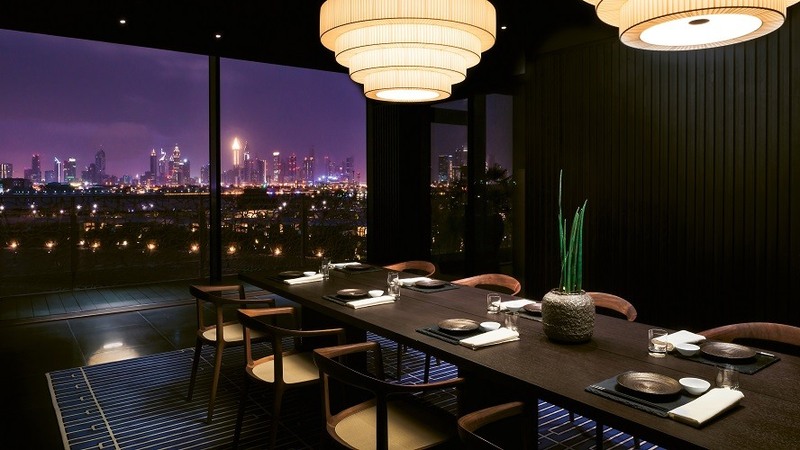 With only 9 seats overlooking the Dubai’s skyline, the Japanese Chef Masahiro Sugiyama offers a memorable gastronomic treat with the finest ingredients directly imported from Japan. Following the fine cultural Japanese traditions, the chef offers a two hours Omakase experience, means “I leave it to you” discovery concept where he selects the dishes to create a tailor-made experience. Welcomed by an exquisitely modern and minimal interiors completed with polished furnishing, dark wood touches and a warm color palette, the guests arrive at the typical Japanese reception area called Tokonoma – a dedicated space to receive guests in traditional house – which features iconic cultural references such as the Bonsai plant and the power stones. 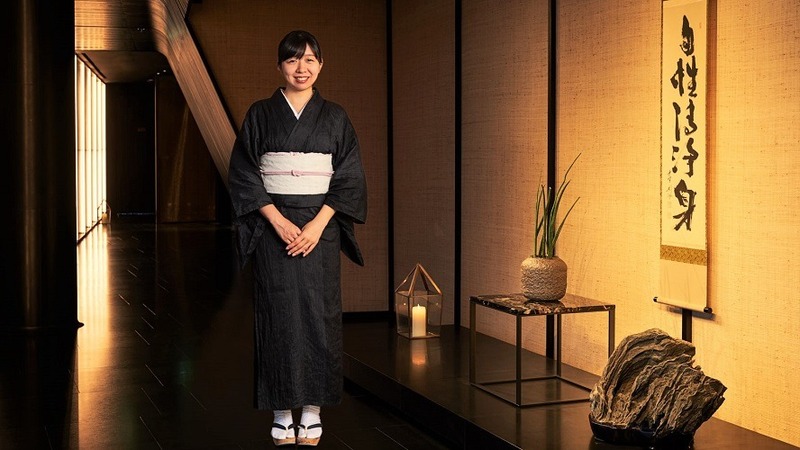 The Japanese hostesses, dressed in traditional kimonos, welcome the guests and guide them to the Japanese style open counter to enjoy the chef’s “art pieces” in the most intimate way possible. This unique setting is ideal for a romantic dinner for two or a special occasion with a small group of friends. For larger gathering, the restaurant offers an equally intimate but slightly bigger seating capacity with the private dining room which hosts up to 12 guests with a fantastic 360° view over the Arabic Gulf and Dubai’s glittering skyline. Omakase is the most traditional way to enjoy Japanese food which offers a memorable gastronomic treat. Depending on the guests’ preferences and seasonal Japanese ingredients, the talented Chef Masahiro Sugiyama serves his own interpretation of delectable and renowned dishes with the finest selection of fishes diced into perfection. 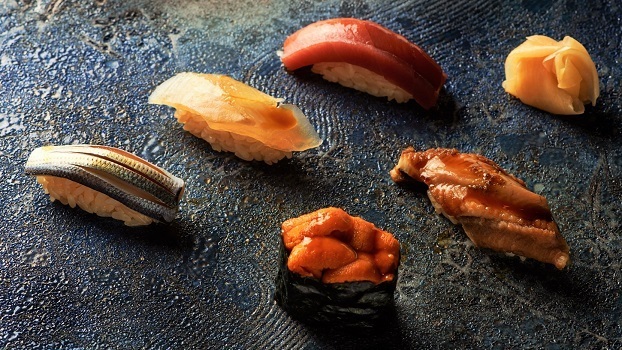 With over 157 years of family sushi traditions, Chef Sugiyama is the 6th generation of sushi restaurant in Tokyo. With his talented culinary technique and relationship with the finest Japanese markets to get the most fresh and seasonal ingredients from Japan, Chef Sugiyama takes the guests through a culinary journey to savor the real tastes of Japan. His extraordinary cuisine can be discovered with different dining experiences, which are especially named after special gemstones in Japanese. The lunch is named KOHAKU which means Amber, while for dinners guests can select either HISUI, translating Jade, or RURI for Lapis Lazuli gemstone translation. The restaurant which is located on the 4th floor of the hotel is open for lunch and dinner five days a week and closes on Sunday and Monday. Reservations are required as there is no walk-in policy. Hōseki opens for lunch from 12:30 pm to 3:30 pm with last order at 2.00 p.m., and reopens for dinner from 6:30 pm to 12:00 am with two seating options at 6:30 pm and 9:30 pm. 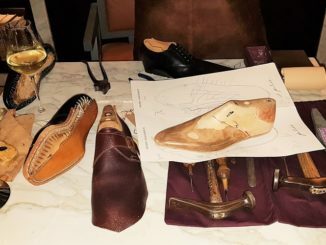 For bookings please call +971 4 777 5307 or email hoseki@bulgarihotels.com.